The 100k in the crown jewel of the Austin mountain biking scene will be an epic event. It will also be an extremely difficult and potentially dangerous event. This is NOT the time nor the place to test your technical riding limits. If you are not comfortable with navigating miles of sharp, off-camber, embedded limestone please consider if it is prudent that you participate in this event. The 100k of the Barton Creek Greenbelt (BCGB) will be two very long (30 mile) laps. There are over 80 miles of trails in the BCGB and the 100k route will take you on or past almost all of them. We will try to mark the route with chalk the day before, but if it rains the chalk will be washed away. It's not that distinct of a marker anyway... Because of this, it is VERY STRONGLY RECOMMENDED that you attend a few of the pre-rides. Note that there will be ~10 correct turns you'll need to take to correctly navigate a lap and you'll pass about 100 incorrect turns. 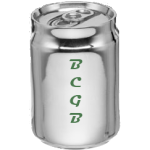 It is very easy to get lost in BCGB and once lost you'll be hard-pressed to find the course and save the lap. We'll be riding on a Sunday and BCGB is extremely popular with hikers, people with kids, dogs, etc. You will certainly encounter all of these trail users and you will need to treat them all with respect. When in doubt, slow down. We all want to use the lightest stuff we have to keep the most favorable power to weight ratio. You should really consider, however, how durable those 500 gram tires you have are. This route will cover miles (literally) of cheese-grater limestone. I know saving 200 gr in rotational weight a tire is huge but having to walk 10 miles across ankle-snapping stone to DNF the ride could be the consequence. When limestone here stays wet for a few days, a dark green mold forms on it. This stuff is extremely slippery and will put you on your side in a heartbeat. If you see this stuff don't brake, accelerate, decelerate, etc. Trails named after snakes and trails named after high-rise building equipment seem to have this stuff. You've been warned. Were offering 'guides' to help those who don't heed our warnings or have ridden the route but aren't 100% comfortable with it. Please note that this system will rely upon YOU, not the guide. It will be the responsibility of the guided to locate a suitable guide, present themselves to their chosen guide at the pre-race meeting and, most importantly, stick their guide's wheel like glue. If you're looking for a guide, show up early so you can find him/her. A guide will have absolutely ZERO responsibility for you and if you fall behind they'll almost certainly drop you. Once dropped, you'll have a tough time not getting lost. We will announce those who know the route on Facebook before the event. You should Strava stalk them to see if they're your speed. You should also look through the past 100k events to see lap times/splits. You should try to find a guide who is actually a little SLOWER than you. Slower, because the BCGB is a technical trail and if you're unfamiliar with it you'll want a guide who is a bit slower so you can catch back up on the flats. When comparing your times with the guides you should use longer/more technical sections as guideposts. Also, please pick a backup guide in case the one you want doesn't show up. A map of the route will be posted one day before the ride.